Stunning Medium Semi cactus. 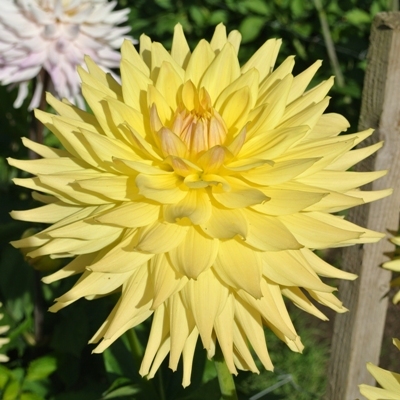 The slightly buttery yellow flowers have good petal formation, good depth and sit on the strong stems at a good angle. The blooms do occasionally show a pinkish overlay which makes them even more attractive. 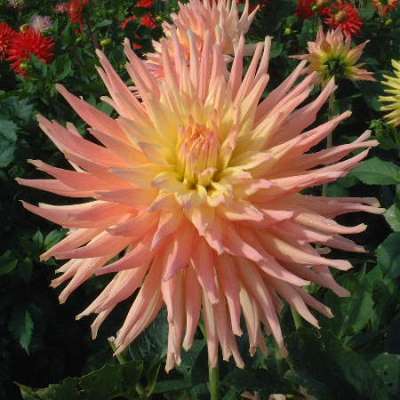 The strong growing plants will easily support 6 blooms if you are showing but would easily take more for general garden use. 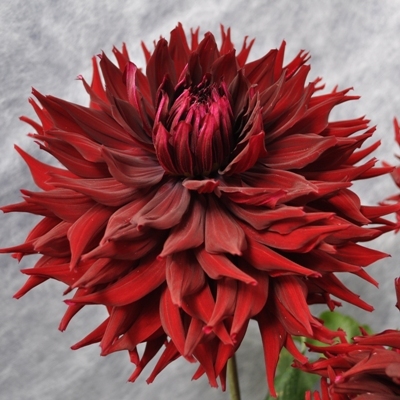 It seems to be a lot more weatherproof than other varieties in its class. 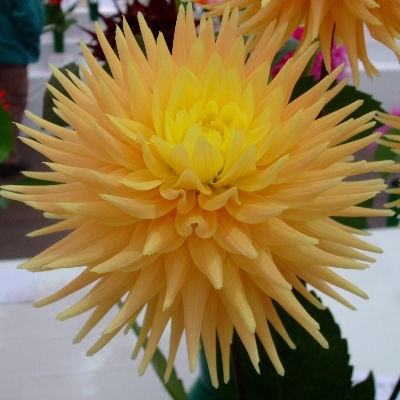 Raised by Phil Godsmark, who has bred a good number of reliable show varieties over the years. Disbudding: For exhibition remove 3-4 pairs of buds below the terminal bud at the top of each stem. For cutflower and garden, 2- 3 pairs. Plant Spacing: 60cm x 60cm apart making sure plants are well supported.